Every time snow fell over the past three weeks, stress rose. The prospect of having to shovel yet again triggered a heart-quickening, fight-or-flight response for most people — useful perhaps when faced with a tiger but less so when trapped inside a three-bedroom Cape, surrounded by 7-foot drifts. To yoga expert and researcher David R. Vago, though, the snow has been an opportunity to get exercise shoveling and to enjoy the outdoors. That is the key benefit to yoga: It neutralizes negative experiences, or at least allows us to recover from them faster, said Vago, associate psychologist at Brigham and Women’s Hospital and Harvard Medical School. Yoga is a form of meditation that involves movement, specific postures, and a focus on the breath. 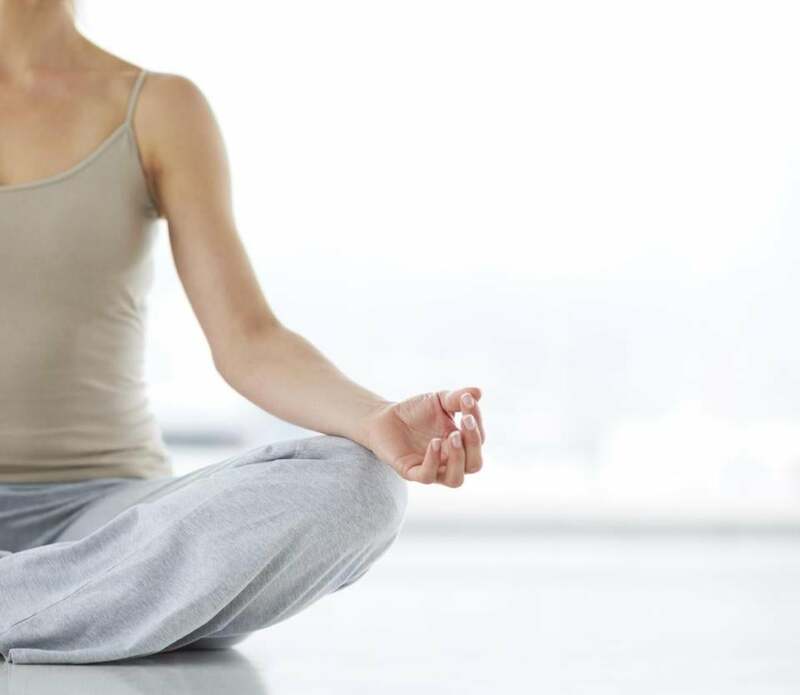 In a recent paper in the journal Frontiers in Human Neuroscience, Vago and his colleagues explained how yoga affects our ability to self regulate. It begins with focusing on sensations to improve self-awareness. Doing that while physically challenging yourself by assuming yoga postures trains the body to respond to all kinds of stress, Vago said. A key to the technique involves breathing slowly throughout, which “directly deactivates the arousal system in the autonomic nervous system,” turning off the fight-or-flight mechanism, said Sat Bir Singh Khalsa, director of research at the Kundalini Research Institute in New Mexico and an assistant professor of medicine at Harvard Medical School and Brigham and Women’s Hospital. Our brains naturally wander to negative thoughts — worry about finding food or avoiding predators. The discipline of yoga and meditation directs thoughts to the present and away from this negative state and gives us a greater sense of self-control, said Khalsa, also editor of the e-book “Your Brain on Yoga,” and a research associate at the Benson-Henry Institute for Mind Body Medicine at Massachusetts General Hospital. “We need to enter this contemplative stage for some part of our day in order to keep ourselves tuned properly and stress resilient,” he said. When we’re constantly stressed out and there’s nowhere to flee (you can’t just run screaming from your boss), those stress hormones lead to a buildup of toxins in the organs and brain, Vago said. It’s not the stress that determines our long-term health, he said, but how quickly we can recover from it.